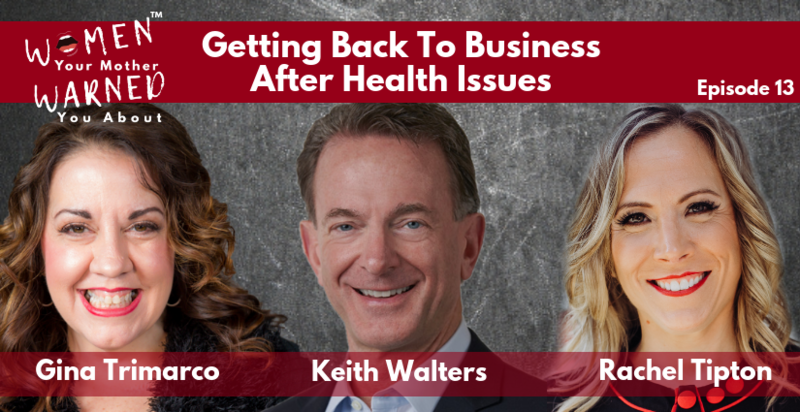 Rachel, Gina and Keith dive into the struggles of dealing with personal, life issues that take you away from work and what the best way is to transition back to work after being gone. Whether it be from being out for surgery, a death in the family or taking care of an ailing parent, it can be very tricky to manage work and personal affairs. Sometimes you have to have the courage to be vulnerable about what you need and just ask for help. You’re lucky if you make your own schedule but what if you work for a company that isn’t compassionate to your needs? It may be time to reevaluate. 02:02 – Rachel takes her daughter to see Pink in concert. 19:21 – Rachel was faking it. 24:56 – Being really transparent with people. 29:22 – Getting back to work after taking a leave of absence. The best way to transition. 35:00 – Finding a group, mentor, advisor to help with extended out of office situations. 37:05 – Vulnerability brings people together. 39:58 – What’s in your purse no one would guess? 43:58 – What doe your purse say about you when you walk in to a sales situation? 52:08 – Learn to ask for help. 54:47 – What do you do is your schedule isn’t flexible? 1:00:11 – If you wanted to buy something from us, what would it be?